Get to know your estimated genetic risk for various conditions. We've optimized our pipeline to get you your results quickly. 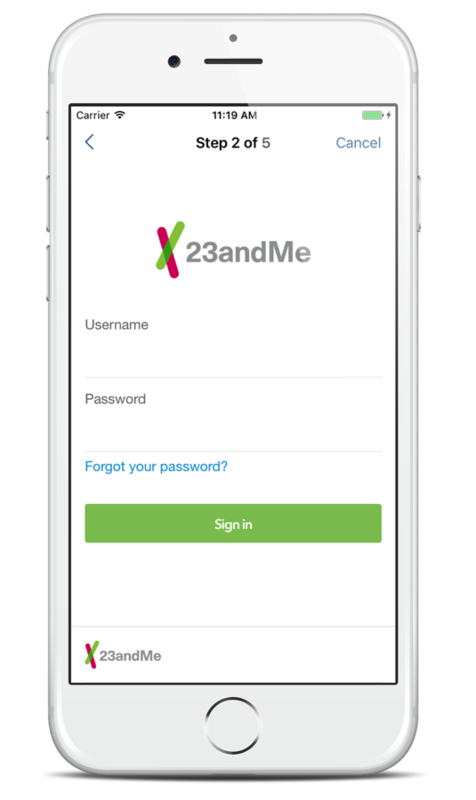 If you've used 23andMe, then you're ready to use MyGeneRank! Support for more services is coming soon. Behavior can offset genetic risk, and we provide the tools to set lifestyle goals. By participating you contribute to the cutting edge of genetics and medical technology. We pull together health and genetics news in one place so you can keep up with the newest advances. We're working to expand to other conditions as new scientific discoveries are made. Get notified when they're available. Sign up today, and discover your genetic risk. Names and contact info are removed from all study data. We use industry standard encryption to keep your data safe. A passcode and optional fingerprint lockscreen protects the data on your phone. We've worked hard to make our systems secure and we do our best to make sure that others can't access your data without your consent. 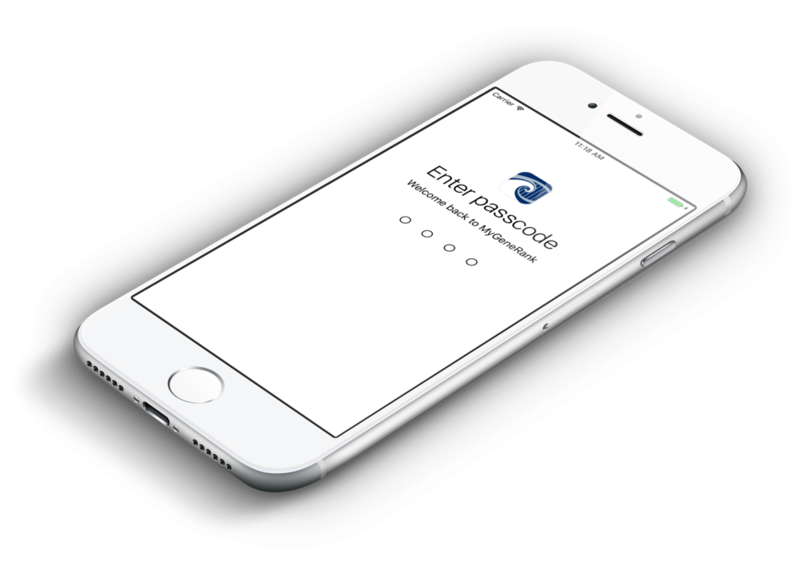 A fingerprint and passcode lockscreen protects the data on your phone. 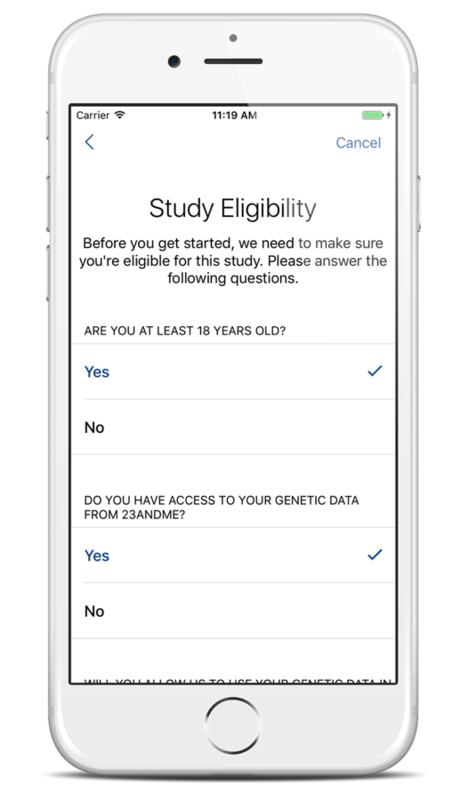 The goal of this study is to determine how your genetic risk influences health decisions and other things that can be controlled in life. 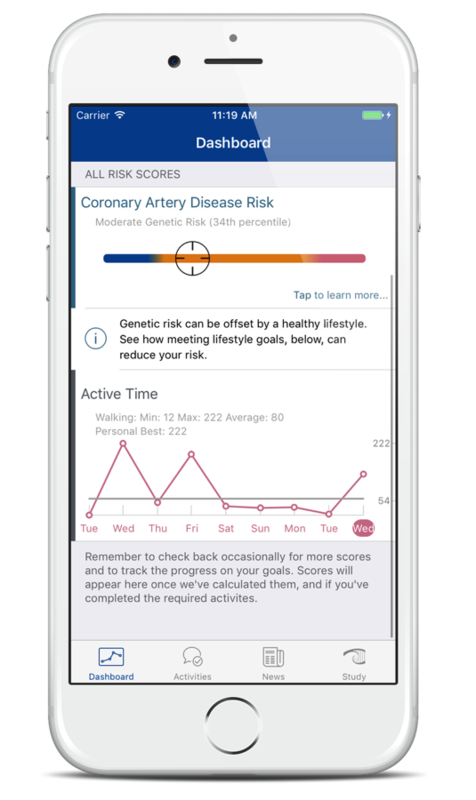 Our first genetic risk score is calculated for coronary artery disease (CAD). CAD ultimately leads to heart attacks, heart failure and sometimes sudden cardiac death and is the main reason heart disease remains as the number one cause of death worldwide. Other researchers have shown that this genetic risk score can be used to identify people with low, intermediate, and high risk for coronary heart disease. It has also been shown that the use of statins (cholesterol lowering drugs) provides greater benefit and protection against heart attack for people with high genetic risk for coronary artery disease. Many conditions affecting our health are caused by a combination of our environment, our behaviors, and our genes. While we can alter some factors in our lives to reduce our chances of developing different diseases (e.g., not smoking cigarettes), the contribution from our genetic risk encoded by our DNA remains with us throughout our lives. 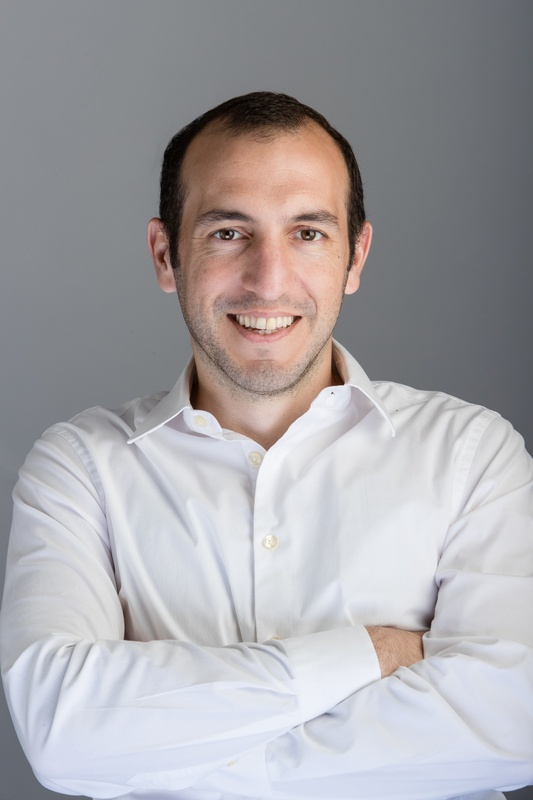 Scientists are still trying to determine the entirety of genetic factors that influence disease, but for some conditions it has been shown that the factors identified thus far can begin to identify people at high to low genetic risk. 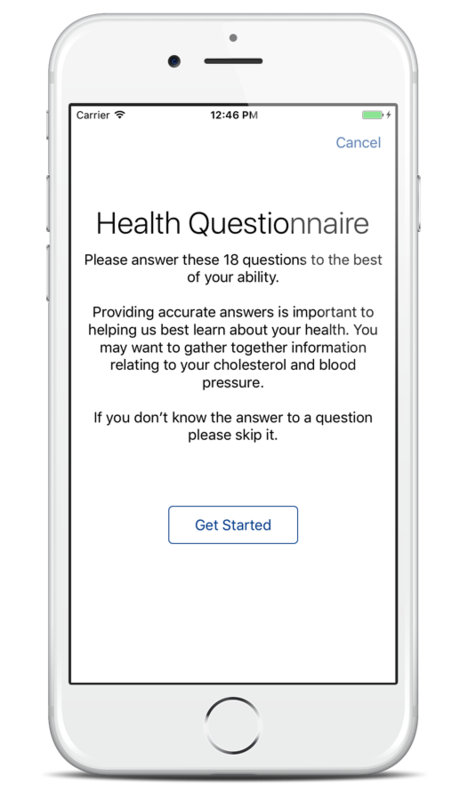 Looking across your genome, we can calculate your cumulative genetic risk score – which can be used to rank your genetic risk compared to the other worldwide populations.